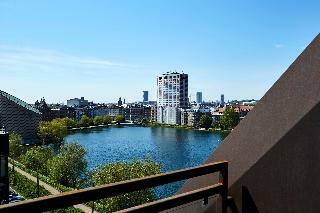 Boasting stunning panoramic views over the water and the city, the 18-storey hotel Scandic Copenhagen enjoys a privileged situation in the centre of Copenhagen. It is located just opposite the Tycho Brahe Planetarium and only a few steps away from attractions such as the famous Tivoli amusement park, city hall square, Nyhavn or the Stroeget shopping street. The central train station can be reached within a 5-minute walk, while the international airport is about 10 km away.The modern hotel features a fresh and stylish interior design. The well-appointed rooms are decorated in a contemporary design and offer wooden floors, WIFI and air-conditioning. 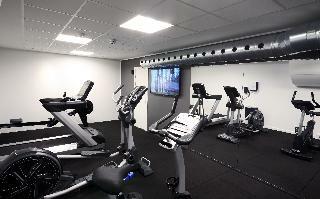 Business guests will appreciate one of Copenhagen's largest conference centres with state-of-the-art equipment. After a long day of working or sightseeing, guests can work out in the fitness centre, relax in the sauna or just unwind having a drink in the cosy bar. An ideal choice both for business and leisure travellers. This modern hotel boasts a central location in Copenhagen, lying just a short distance away from Tivoli Gardens and the main train station. Links to the public transport network are to be found just 1 km away. The hotel offers a great setting from which to explore the wide range of attractions, shopping opportunities, dining options and entertainment venues that the city has to offer. This charming hotel enjoys a sophisticated style, welcoming guests into the relaxing surroundings of the interior. The guest rooms are beautifully appointed, and come complete with modern amenities for added comfort and convenience. Guests are invited to enjoy delectable dining in the restaurant, where mouth-watering culinary delights are the order of the day. 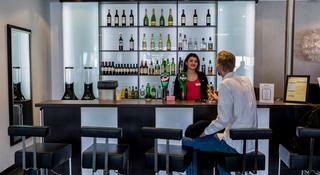 Guests can then sit back and unwind with a refreshing drink from the bar. 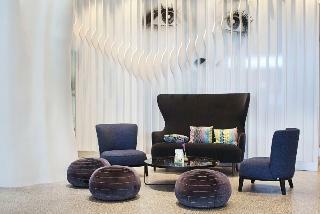 The hotel is located in the heart of Copenhagen within walking distance of the Tivoli Gardens and Central Station. There is a beach 7 km away and Copenhagen Airport is approximately 15 km away. The hotel has 3 fully equipped meeting rooms at the disposal of business guests and a total of 152 air-conditioned guestrooms. The rooms are Scandinavian-style with separate seating and working areas and are fitted with all amenities visitors may need. A flat-screen LCD TV with satellite channels provides in-room entertainment and the wireless Internet connection allows guests to keep in touch during their stay. The hotel's restaurant serves Spanish tapas and there is a bar where visitors can purchase alcoholic drinks. A disco is available for nightly entertainment. 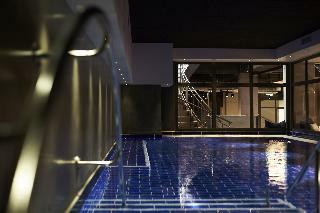 It is a hotel of 3 stars, which is placed in Vesterbro in Copenhagen. It has a very good place, it is very close to many attractions like the Square of the Town hall, Tivoli and the shopping street Strøget. The airport of Copenhagen is approximately 10 km of the hotel and the Central station of Copenhagen is at little distance. In the Vesterbro quarter we can meet many shops and coffees, between others. Halmtorvet and Gammel Kongevej is placed just behind the hotel. A very warm and cozy ambience is breathed in a historical environment. All the rooms are equipped perfectly, all of them give to the courtyard, what gives more calmness and not fiiltra no noise of the street. 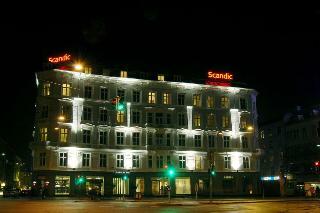 This hotel is situated close to the railway station in Copenhagen. The hotel lies within easy walking distance of Tivoli Gardens and the famous shopping street of Stroget. Guests will find themselves in the ideal setting from which to explore the splendour that this wonderful city has to offer. The hotel enjoys a charming architectural design, tempting guests into a world of elegance and sophistication. The guest rooms are elegantly appointed, offering a peaceful setting in which to completely relax and unwind at the end of the day. The rooms are well equipped with modern amenities, for added comfort and convenience. Guests are invited to take advantage of the wide range of facilities and services that the hotel has to offer. This hotel is centrally located just on a short walk from the centre town hall. In the vicinity travellers can find many different shops including the Strøget shopping arcade. The beautiful Tivoli Gardens are just a few minutes' walk away and links to the public transport network are to be found 300 m away. Copenhagen airport is 14 km from the hotel. Renovated, this hotel comprises a total of 6 floors with a total of 288 rooms. 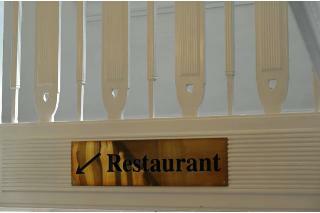 Dining options include a nice bar and a cosy restaurant. There also is a garage and a car park for those arriving by car. The comfortable rooms come with an en-suite bathroom with hairdryer. Further facilities include a direct dial telephone, a minibar/ fridge and a safe. 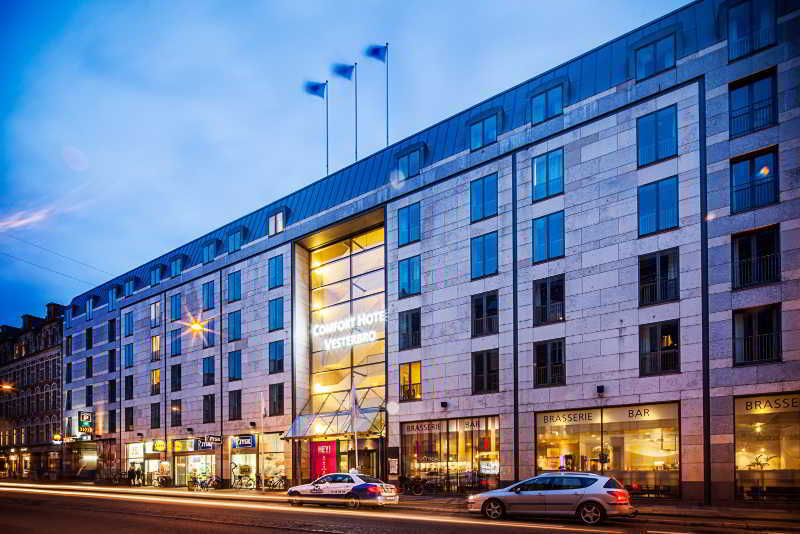 Centrally located in the city centre, this hotel is minutes from the beautiful Tivoli Gardens and 'Stroget', Europe's longest pedestrian street. Situated in the heart of Copenhagen and close to the best shops and international cafés, the property is the perfect lodging for both regional and international travellers. It is also close to a variety of recreational activities nearby such as sailing, surfing, boating and golf. Guests may stay at one of the guest rooms and suites, each complete with cable satellite television with international channels and free high-speed wireless Internet access. The hotel also features a friendly staff, business services, car and bicycle rental, and meeting space to accommodate and cater for up to 33 people. In addition, the breakfast restaurant offers a complimentary full-breakfast buffet each morning. 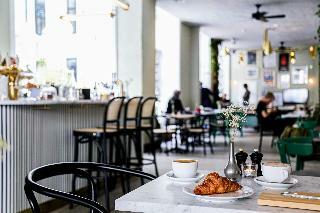 This sophisticated hotel enjoys an enviable location in the heart of Copenhaguen. The combination of a fabulous 19-th century design, privileged setting close to the major city landmarks and easy reach of links of transport make it a perfect place to lodge while on travelling for work or leisure. Travellers will find themselves within just a few steps from the main railway station and within 1.6 kilometres from the majestic Christiansborg Palace, 500 metres from the Copenhaguen City Hall and only 350 metres from landscaped Tivoli Gardens. The hotel boasts large and luminous rooms and suites. The units feature elegant design, cosy furniture, quality fabrics and original stucco ceilings exuding a sense of royalty. Visitors may start the day off on the right foot with a rich buffet-style breakfast and throughout the day dine on Italian delights served at the signature restaurant. Guests may also make use of a computer in the lobby and playroom. This hotel is situated in the centre of Copenhagen, lying just a few minutes' walking distance away from the city's most prominent attractions. Guests will find themselves within easy access of the Tivoli Gardens, the famous Stroget pedestrian shopping area and the national museum. The hotel is located just a short distance away from the main train station and the airport. 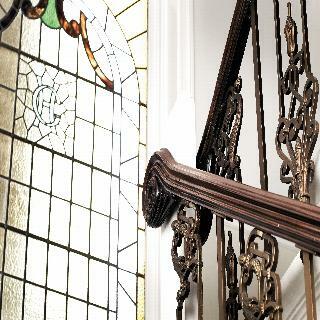 This wonderful hotel enjoys an attractive architectural design, blending effortlessly with its historical surroundings. The guest rooms are beautifully appointed, and come complete with modern amenities. Guests are invited to take advantage of the wide range of facilities and services that this charming hotel has to offer. All fine. Only best impressions.